Four of us - Myself, John Carroll, Sam Watson and Mahmoud Marai, have long harboured the dream of driving authentic World War 2 Jeeps across the Sahara, following the routes taken by The Long Range Desert Group. With the first Jeep finished and having clocked up 1500 trouble free miles and the second nearing completion in the Matt Savage Overland Preparation Barn, plans are going well for this unique adventure next Easter . Many e-mails have been exchanged, but with John and Sam up in Yorkshire, me in Leicester and Mahmoud in Cairo, the opportunities to meet up are rare. This month, Matt had a stall at the Peterborough Land Rover Show and us three Brits were all going, so as the show drifted from shopping to partying we met in Matt’s marquee for a barbecue (hence the smokey picture) and a chat to finalise plans. 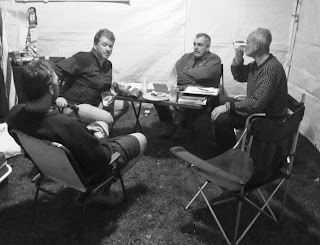 This Blog will detail the build up to our Easter 2011 departure. 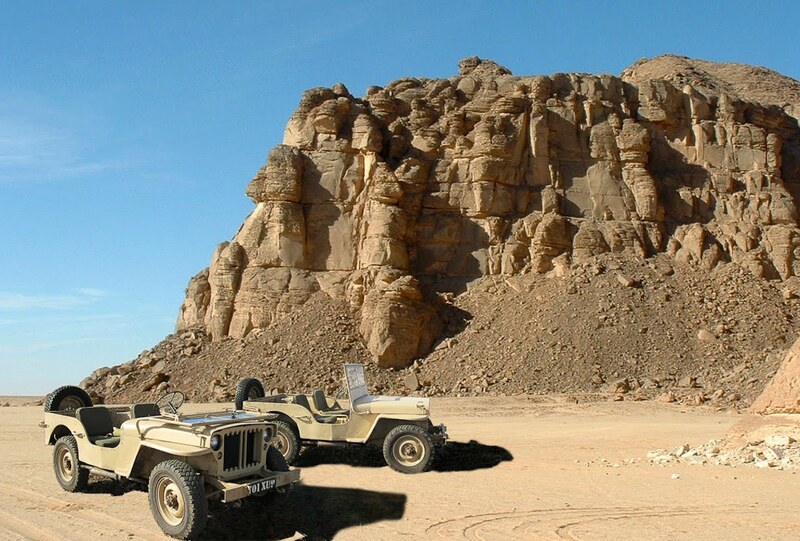 The main photo is a montage of the one finished Jeep, duplicated and set against a background of the Gilf el Kebir, shot back in 2004 on my last visit. The second shot is the four of us Brits - left to right, Matt Savage, in charge of Jeep rebuilds and helping me get both Jeeps to Venice to catch the ferry to Alexandria, Sam Watson, ex Cairo resident and expert of the Long Range Desert Group, John Carroll, life long Jeep enthusiast who has driven more Jeep miles, in more countries, than most and me, enjoying a beer!